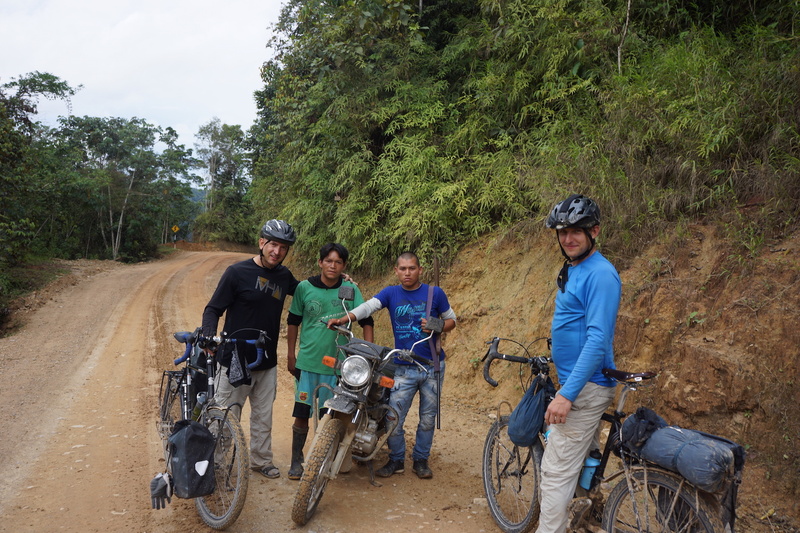 Launching bikes on the Amazon River and hitting the road! 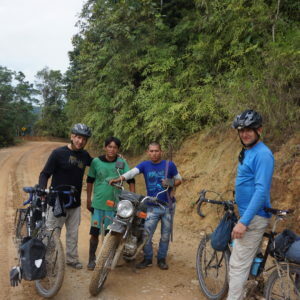 Quiet and somewhat sleepy everyday life of Peruvian Indian tribe of Ashaninka in the region of Atalaya was abruptly shattered when two Poles, David Andres and Hubert Kisiński, pushed the bike pedals to run along the currents of the Amazon River into the Atlantic Ocean. It was right here, in the heart of Atalaya, where the two brothers spent a few days preparing for their exceptional journey. 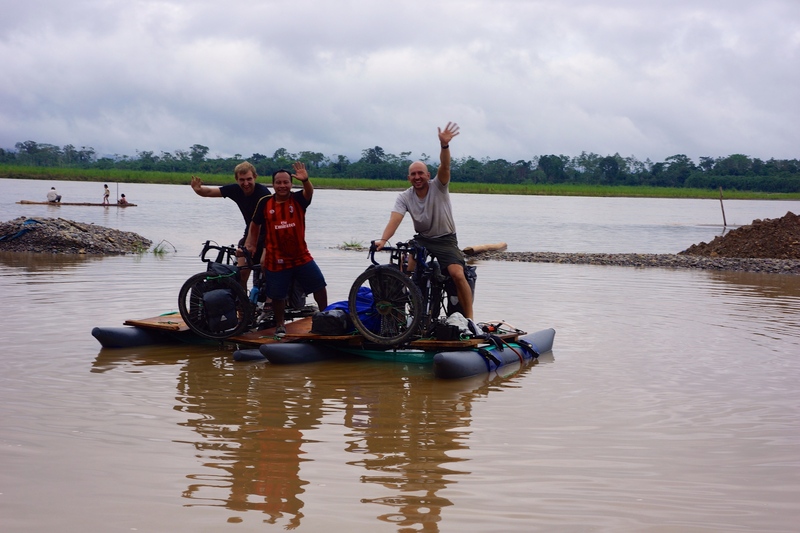 They changed their regular bikes into “Amazonian” bikes, they boarded their peculiar vehicles and thus they began the water stage of their Amazon-bike-tour: its crucial chapter. 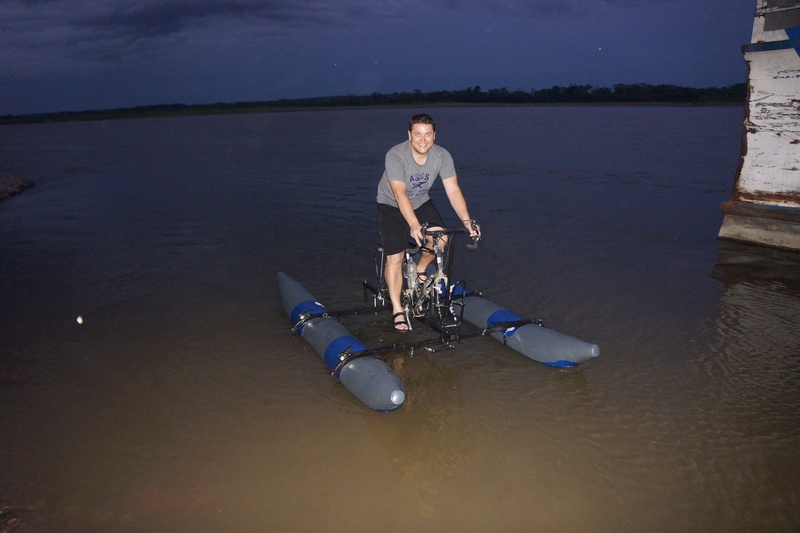 “Amazonian” bicycle consists of a bicycle frame mounted on two runners made of the material otherwise used to build rafts. The structure right away presented David and Hubert with several challenges. 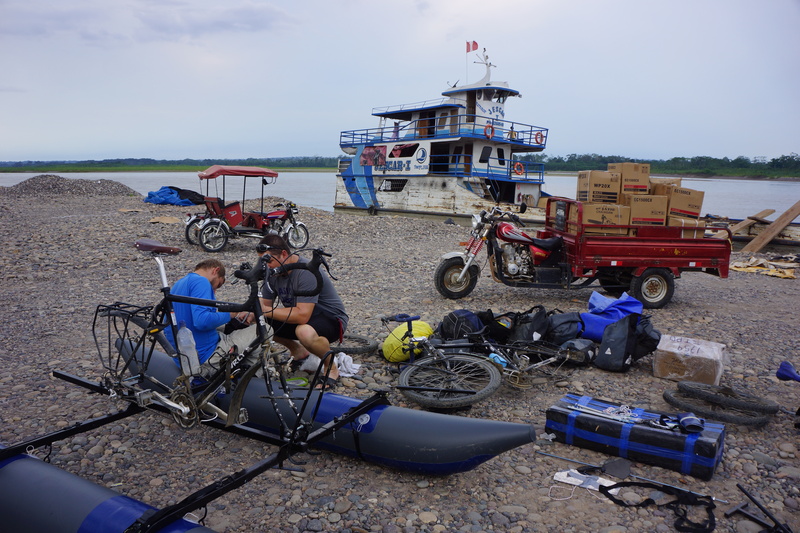 First, when assembling the vehicle they realized that they would need much more efficient pump to fully inflate the runners, which is essential for the floatability of the construction, so the entire “Amazonian” bike stays above the water surface. 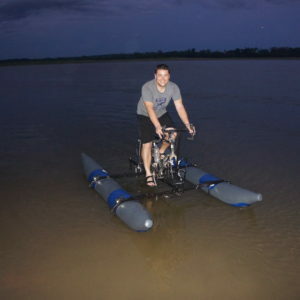 Then, the initial attempts of launching the bikes proved the need for some further improvements to be made to successfully navigate waters of the Amazon. Therefore the next two days were filled with hard and intensive work. 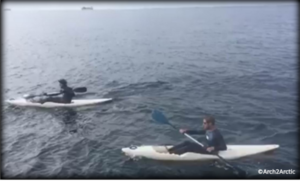 The location of the drive, to mention just one enhancement, had to be changed to provide smoother and safe control over the vehicle: the hybrid of a bike and a catamaran. Hubert, of course, took care of it all. 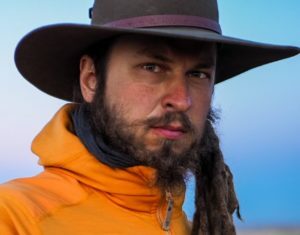 He is the handyman on this expedition. Finally, the brothers were ready. But they still had to wait a little longer. It was the guide whom they were awaiting. 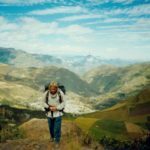 The guide who would lead them safely through one of the currently most dangerous regions of Peru and who would supply them with an unwritten guarantee of immunity. The cyclists grew impatient and even considered taking-off on their own, but after their encounter with local bandits, common sense prevailed. So they were awaiting. And it started heavily raining. “Rain shouldn’t worry you, it is always raining there” – I texted them. Soon after that, I received their reply: “We are leaving!”. 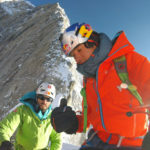 Local Ashaninka, Felipe Suarez Ruiz, finally came “on board” and joined their expedition. It was on a Saturday morning, November 7th, when David and Hubert embarked on their Amazon water voyage, waved farewell from the river’s banks by the Indian tribe they befriended here, in the heart of Atalaya. Before they reached the river, they had rode their bikes for about 2 thousand kilometers along the shoreline of the Amazon River flowing through the high Andes. In early September they had set out from the town of Camana to reach the source of the Amazon in Lake Ticlla Cocha, where for the first time they touched the water of the biggest river on our planet. 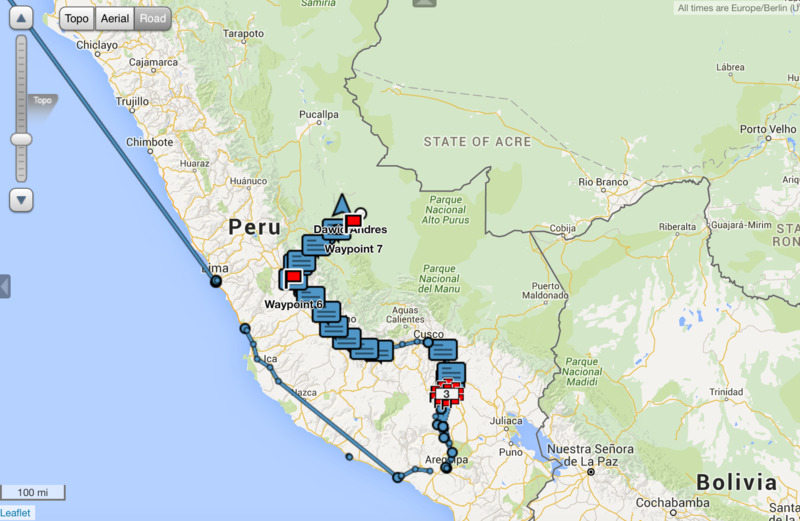 From there, they bicycled to Cuzco, and then headed for the town of Ayacucho. If one wanted to draft this route using a graphic design, it would take a shape of sinusoidal wave; it begins at an altitude of 0 m, then rises up when bikers are riding or pushing their bikes up to 4500 m above sea level, then descends when they are cycling down to 1000-1500 m and rises again during their ride or walk up to approach 4000 m, down again, and climbing up again. It is a roller coaster. 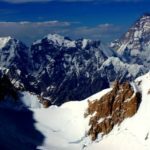 So it is for human body challenged with the sudden changes of altitude, thin air, and stomach problems occurring in an unfamiliar environment. 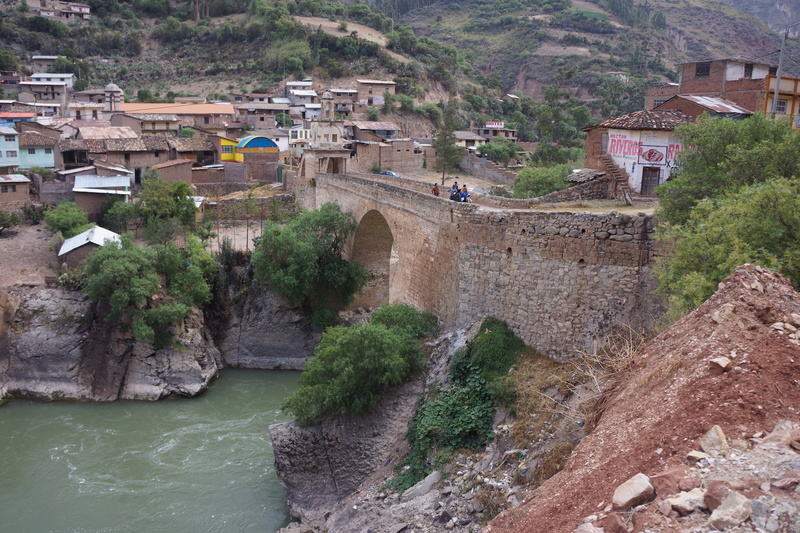 “Hubert feels better, but for the last few days coke and crackers has been his only fuel” – David wrote to me from Cuzco. 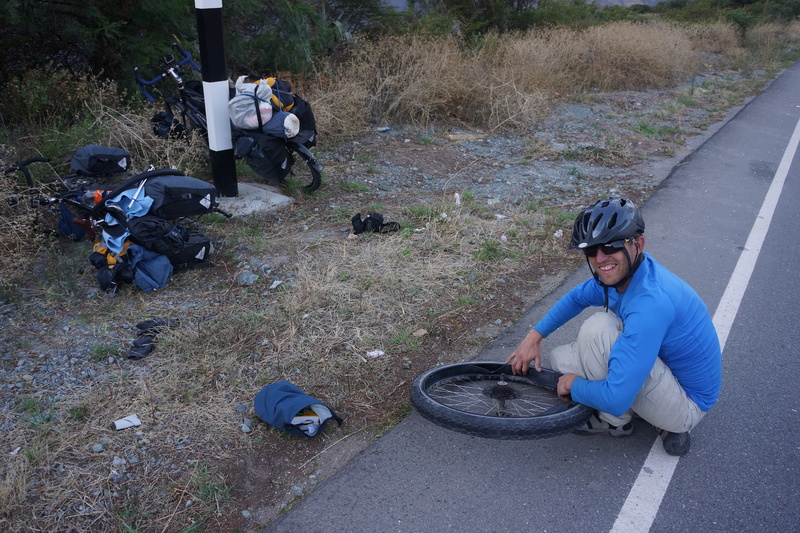 They caught their first flat tire after a thousand of kilometers. Rocky and gravel roads were a battlefield for tires, which resulted in subsequent patches holding up the holes. However, with that scenario expected, David and Hubert had stocked up on solid supply of material for patching the holes. Riding through the winding and narrow mountain roads was also frequently risky with other vehicles joining the traffic. Car drivers weren’t anticipating cyclists on their way. As a result, one day David landed in a ditch pushed by a minibus. Fortunately, he fell on sand: no damage to neither him nor his bike. 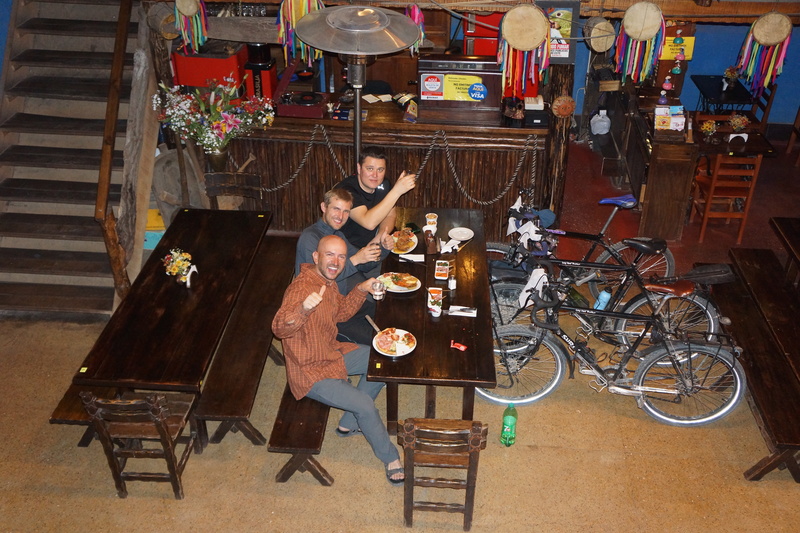 In Ayacucho David and Hubert met an unexpected companion, Dominik Dabrowski. Unexpected, as he was a last-minute switch for the third original member of the expedition, one of the Amazonian vehicle constructors: there was not enough time to inform the brothers about the upcoming replacement. 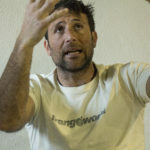 Dominik had brought from Poland the floating parts of the “Amazonian” bike, undeniably accomplishing an extraordinary mission: he managed to deliver to Ayacucho 120-kilograms of heavy equipment using only buses on his way across this South American country yet unfamiliar to him. 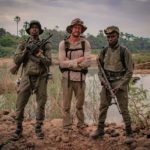 Furthermore, being a temporary participant of the journey for only two weeks, he wanted to feel-the-legs: gain an experience bringing him closer to the real Amazon challenge. “This escapade is something so crazy and so unique one does only once in his lifetime. Unfortunately, I am not able to do the whole project undertaken by David and Hubert, but well, at least, a portion might be my share, “- explained Dominik. 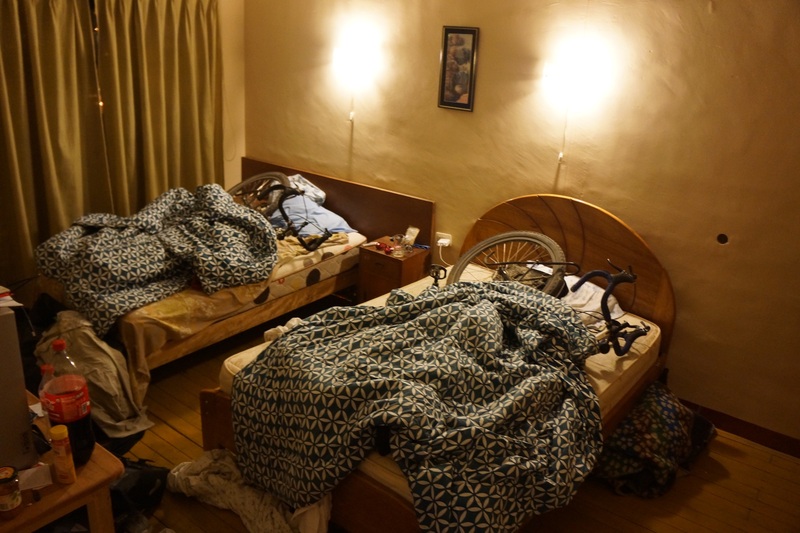 Therefore, still in Ayacucho they bought another bike, already quite worn out, “cheaper than the brake pads,” as David framed it, and the three of them rode together to Huancayo. 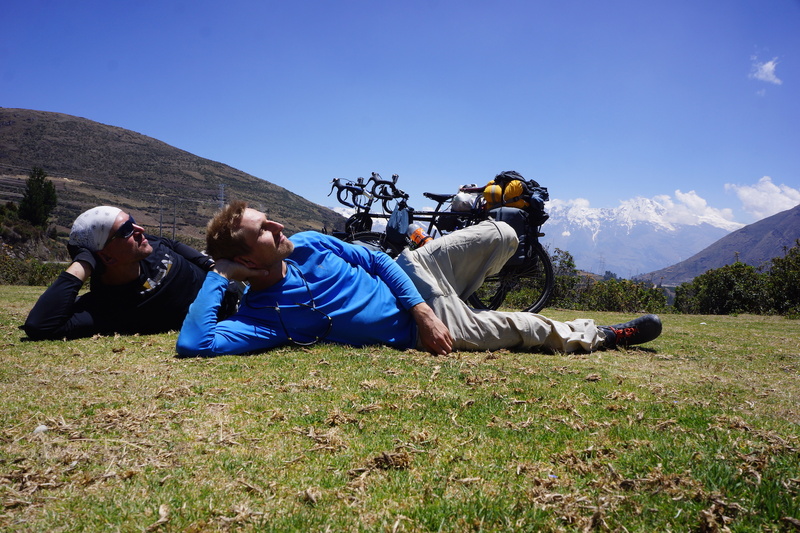 “Barely breathing without proper acclimatization, Dominic biked all the way from Ayacucho. 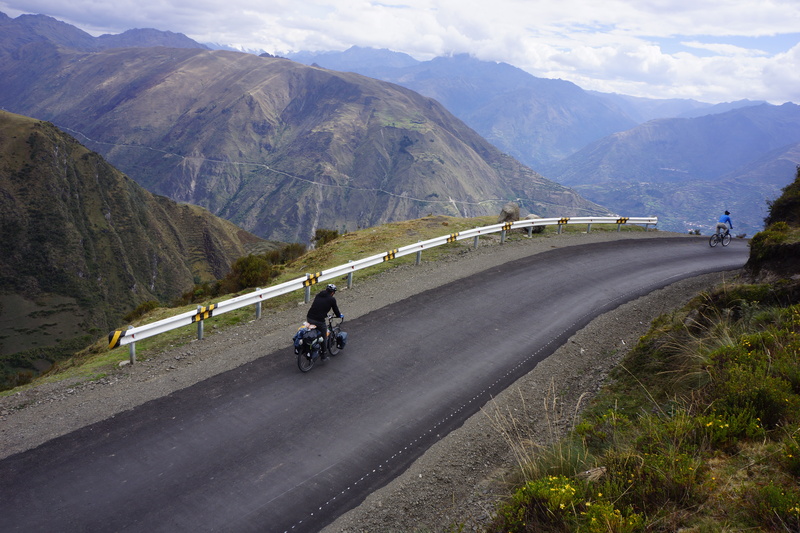 Hubert and I suggested that he goes by a local transport, but he replied that he was a part of the trip and he would reach Huancayo on his own bike. 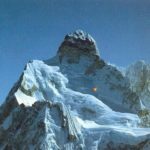 It shocked us how well he did at an altitude of 3900 meters, “- David wrote in his expedition diary. 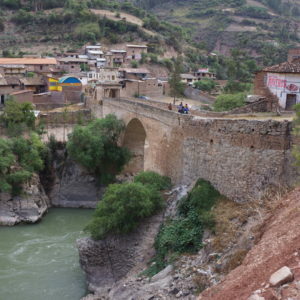 – “In Huancayo we stayed at La Casa de la Abuela. It was a gift from Piotr Chmielinski and it included meals at La Cabana restaurant. Normally, we’d sleep in tents or hostels for $3-$4 per person and our usual meal wouldn’t exceed $1.5; But today we can afford what we want. We feel like kings!”. La Casa de la Abuela, run by Lucho Hurtado, with whom I worked during my expeditions to the source of the Amazon in 2012-13, is the best place in the area for travelers and explorers. I could not let my friends-cyclists not to benefit from what it has to offer. 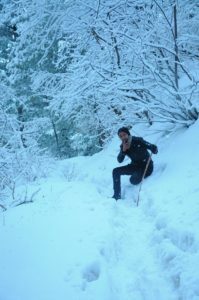 Regardless of the physical effort and fatigue, expedition presents a great fun for travelers. 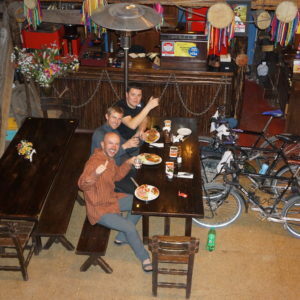 As if in an updated version of Jerome K. Jerome’s stories (author of “Three Men in a Boat not counting the dog,” and “Three Men on bicycles”), the brothers’ testimonies from each stage of the Amazon trip sparkle with humor and happiness they found while exploring unknown parts of the world. Their stories are accompanied by captivating and equally witty pictures, expressing a childlike joy of traveling and finding a solution to every unexpected situation encountered. On the photographs not only cyclists play their roles, but so do their vehicles: the heroes of this expedition. 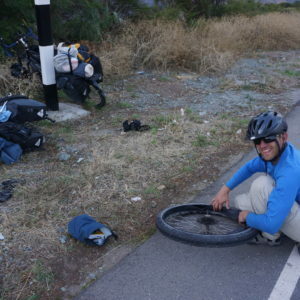 Hard not to smile while looking at a pic of a bike lying under a blanket in a motel bed with a side note to it: “There would not be our expedition without the bikes, so let them rest comfortably”. Or another picture, of the bikes standing at the banquet table at La Casa de la Abuela. Also, the last-minute personal change in the third participant’s name turned out for the best. 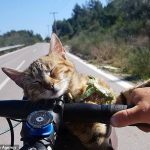 Especially for Hubert, who initially had planned to share only the mountainous part of the journey, but later decided to complete the entire route. It wouldn’t be easy to thank him half way through anyway, as David explained: “On the prospect that he might be done after the mountain stretch, Hubert said that the only option to send him back home is to kill him first”. 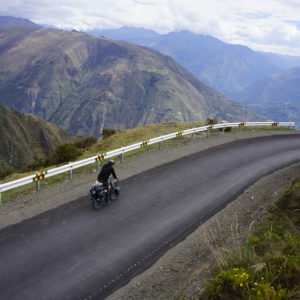 After leaving Huancayo for Satipo, our bikers entered the special-safety-zone. Here in Satipo the territory falls into the Ashaninka tribe control. An extremely important of an issue that David and Hubert had to thoroughly address was: how to ensure their safety both on land and on the river? The area inhabited by Ashaninka is an autonomous region. The relative independence from the Peruvian state came as a solution to the challenges posed by terrorism, drug trafficking, and thus a high degree of crime that plagued this land. The transfer of a large part of administrative rights to the local Ashaninka community resulted in the entry restrictions for non-Ashaninkas. That’s why while visiting this area it is important to get all possible permits or letters of recommendation, and to secure the guidance of one of the members of Ashaninka tribe. Which the brothers did. 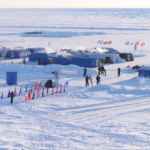 David and Hubert also befriended some representatives of the regional authorities who, using local media, spread information about the expedition of our Poles. They also provided them with security letters and other relevant documents aimed to reduce the risk in case of any attack by local bandits. The route from Satipo toward Atalaya was not easy. 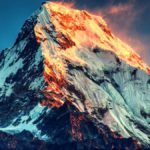 A mountain emerging after a mountain. The first steep climb to the summit that would take up to several hours to reach. Then, after they made it to the peak, just over a dozen of minutes to ride it down. The road was not paved and of poor quality. But the surrounding was peaceful and quiet. Until this serenity was abruptly shattered by the sound of motorbikes. There were three of them. One of the strangers, targeting Hubert with his gun, approached and blocked the way out. Would have been scary, hadn’t it been for the comedy gag: the remaining two strangers kept looking at our bikers and thus didn’t notice that their armed comrade stooped. Cut to: the three of them crushed and fell down along with their roaring vehicles. Trying to play it cool, and not to languish their gangster authority, the armed one yelled at the “gringos” that they were the legitimate patrol and had a duty to inspect their belongings. The three searched the luggage of David and Hubert, taking over their money and electronic equipment, including the cameras. 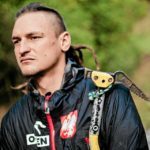 To add a little spice to this inspection, they accused the Poles of the intention to harm Indian children by … cutting out their eyes with scissors that have been found in a pouch strapped to a bicycle. Harvesting the internal organs is one of the leitmotifs in objections the Ashaninkas harbor against white people. “We explained to them that we respected their tribe and had a few friends among the Ashaninka, and that we were on our way to visit them. We handed them our papers” – recalls David. “For a moment the gangster’s leader wondered on his following movement. That robbery attack clearly did not go well for them. Finally, they pulled out money taken and … gave them back to us, along with the electronic devices. However, after a moment they decided to reward themselves with the amount of 300 soles, which is the equivalent of 100 US dollars”. Finally ….. they took a snap shot with almost-not-robbed Polish cyclists, this way providing irrefutable proof of their own identity. With their faces captured in the frame, it was clear who stood behind this grotesque, and fortunate for David and Hubert, almost-assault. “Once we got to Satipo, we entered the house of our allied Ashaninka, who was also a presidential candidate in the upcoming elections. We recounted the incident, and he repeatedly apologized for such a manifestation of inhospitality. He was very concerned and launched the search for our attackers. I do not think it will be a great challenge – we have them on our pictures. 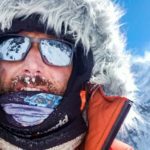 The attack, like many other events of our expedition, luckily turned out to make for a funny story to be later told”, concludes David. SPOT points on the map, showing their current location on the route, indicated that the cyclists moved with the speed 5-8 km/h. 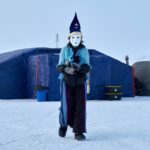 Still, it is difficult to precisely determine when the brothers will get to Pucallpa, where they would leave this most dangerous zone of their journey. It all depends on what they will come upon the upcoming kilometers of the river. Let ‘s hope that they will continue to experience only fulfilling and fun adventures. Gangsters and their "victims" on the road from Satipo to Atalaya on the territory of the Ashaninka. From left David the first gangster armed leader of the attackers and Hubert. Photo. The third gangster. 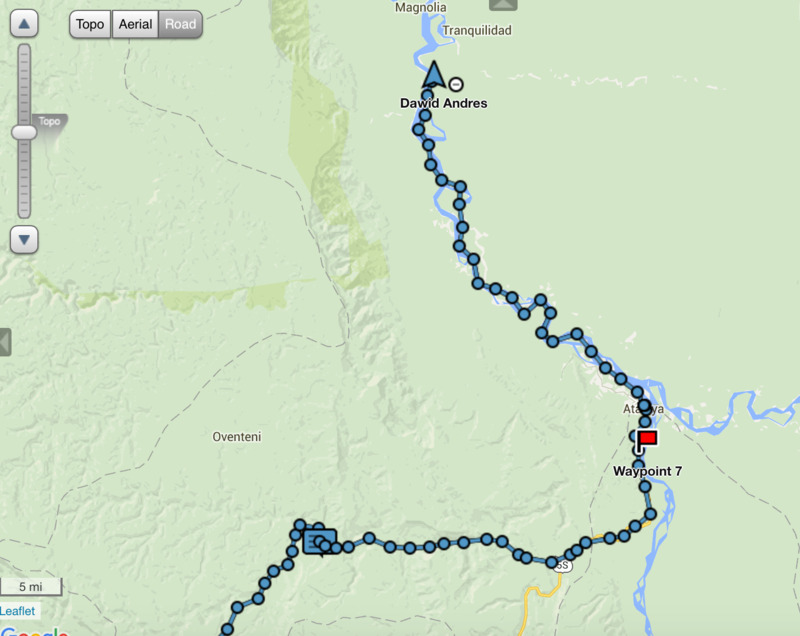 Route of the Biking of the Amazon River Expedition since its launch in Camana at the Pacific Ocean beach to the town of Atalaya and the first day of on the Ucayali River. DeLorme Map. November 7th 2015. Route of the Biking of the Amazon River Expedition from the start in the town of Atalaya on the Tambo River and follow the Ucayali River toward the town of Pucallpa. The average speed on the first day: 5-8 km/hour. DeLorme Map.